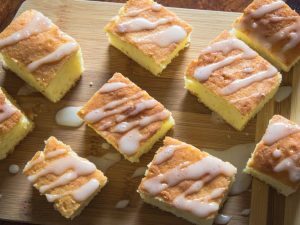 This version of lemony fudge is practically no work and all fun! 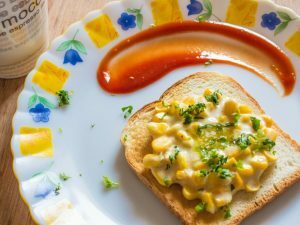 You just have to source a couple of ingredients and invest 10 minutes of active cooking time to enjoy this delicious treat for people of all age groups. 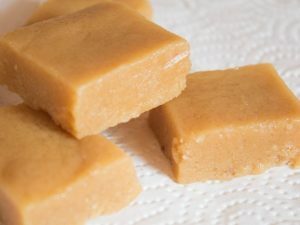 This fudge recipe oozes fresh flavors as nothing else can! Just, chill it long enough for the fudge to set firmly. Until then, you can lick unabashedly all the pots and pans that are still holding on to a good share of this delight in them. Sadly, the Halloween has passed else you just had to make these fudgy delights ad wrap bite size pieces of these in a fancy candy wrapper. Nevertheless, you still have the biggest one of the year coming soon… so delight all your friends and family with this very professional treat. The will surely get very pleasantly surprised by your creation! Prepare a square or rectangular baking dish by lining it with a butter or parchment paper. Keep it aside. 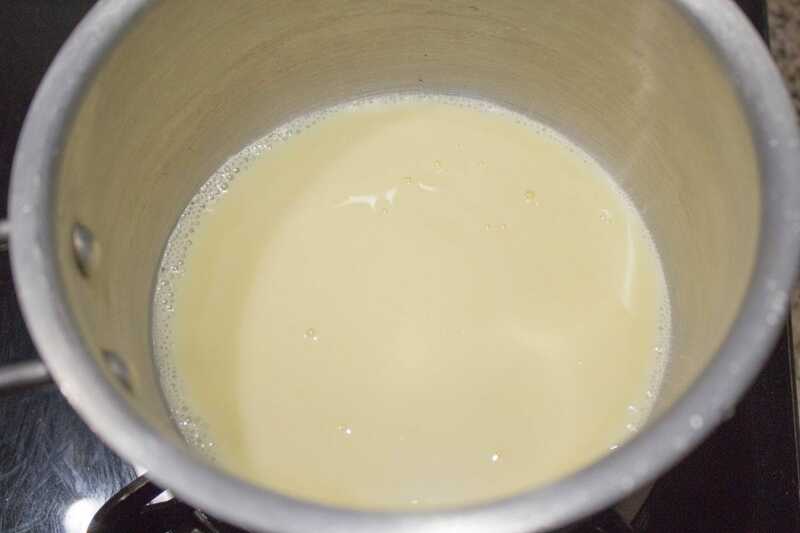 Now, heat the condensed milk in a thick bottomed pan at medium flame until it starts to boil. 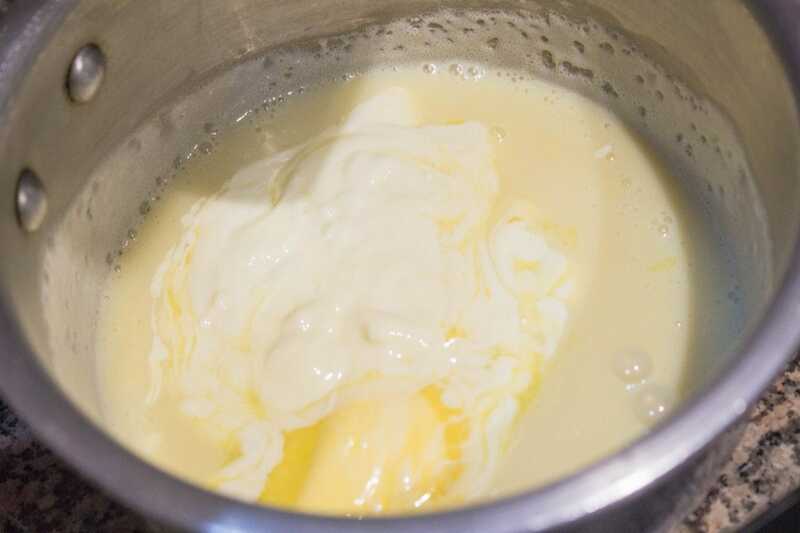 Slightly stir in the molten white chocolate and remove the pan from heat. 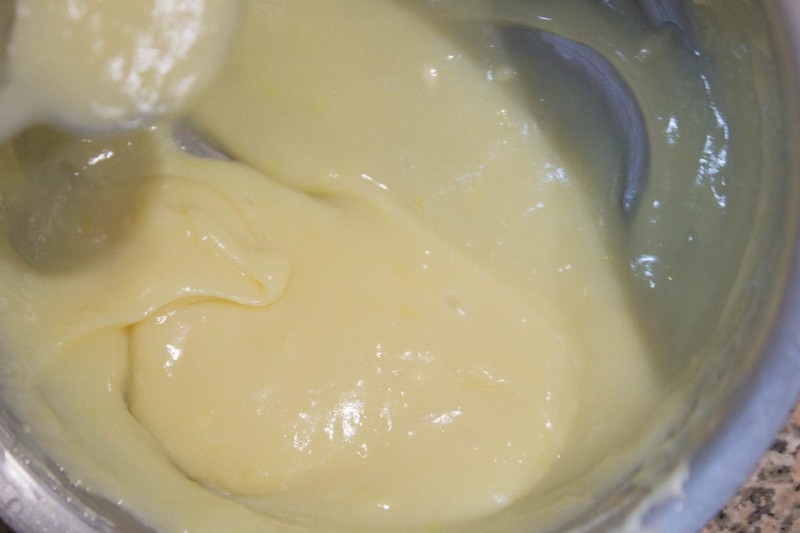 Stir in the softened butter, fresh lemon juice, fresh lemon zest and whisk everything until well combined. Quickly transfer the fudge mixture in to the prepared baking dish. Chill the fudge overnight or for 2 hours at least. 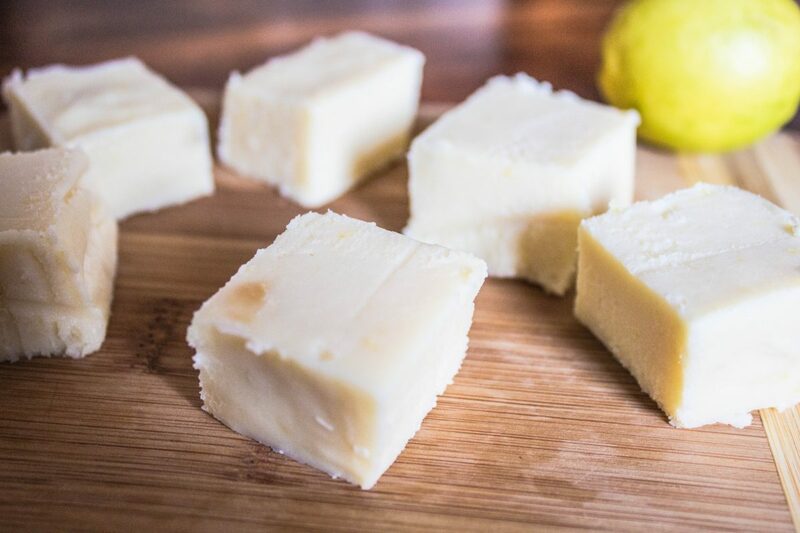 Slice or cut the lemony fudge in to small cubes of your size preference. Serve and enjoy! If you enjoy a bit of salty flavor along with the tang of lemon then you may also use salted butter for this preparation. 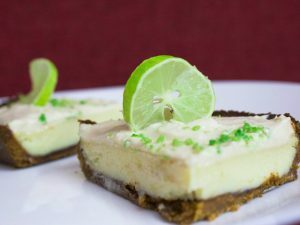 Use of fresh lemon juice is highly recommended for this recipe. 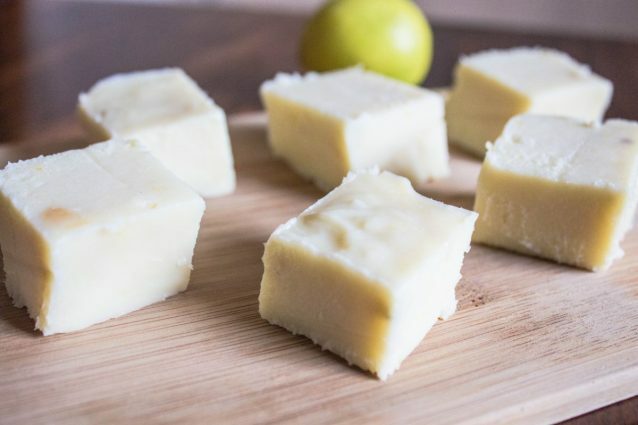 Fresh juice adds the natural tang to this fudge preparation that takes this treat to a whole new level of awesomeness. 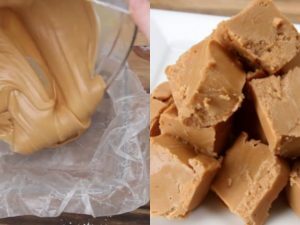 Peanut butter fudge: This is a gooiest and fudgiest nut butter dessert!